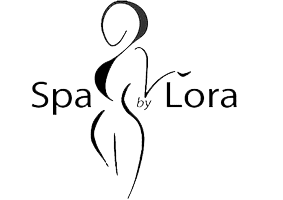 If you have unsightly spider veins on your body or visible capillaries on your face, you should make an appointment at Spa by Lora for vein reduction services. Lora uses the Excel V laser by Cutera to treat visible spider veins leaving you with clear, smooth skin. Contact either the Bucktown or Ravinia locations in Chicago and Highland Park, Illinois, respectively. Spider veins are clusters of veins that gather together near the surface of your skin. Usually, blue, purple, or red, spider veins typically develop on your legs and face. Spider veins aren’t usually painful, but many people feel embarrassed about their appearance. Spider veins are caused by structural abnormalities in your veins that prevent blood from flowing effectively. This results in engorgement and dilation, which causes your blood to pool in your veins, becoming swollen and visible through your skin. There are many factors that contribute to the development of spider veins. First, while both men and women develop spider veins, they are more common in women. Hormonal changes like those simulated with pregnancy, birth control, and hormone therapy can lead to spider veins. Being overweight also causes spider veins to develop as your body works harder to move your blood through your body, taxing your veins. There is a genetic element that contributes to whether or not you develop spider veins, but there are steps you can take to reduce your risk. Most importantly, maintain a healthy body weight and exercise regularly. Both of these actions will protect your vascular health and reduce the chances of developing structural weaknesses in your veins. Lora treats spider veins with the Excel V laser system by Cutera. The Excel V offers an effective, non-invasive treatment using laser energy to target your veins. The laser has ten levels, which means that Lora can customize the treatment to address your personal needs. The laser uses a highly-powered green light which targets and breaks up red, blue, and purple pigmentation issues. In doing so, it seals off your spider veins, forcing your body to reabsorb the tissues, effectively eliminating their appearance. Why should I choose laser treatment for my veins? Laser treatment to reduce the appearance of veins is non-invasive, unlike other common treatments like sclerotherapy or ablation. You'll notice the results more quickly and won't have to take time out to recover from your vein reduction treatment. Lora's Excel V laser also has a state of the art built-in cooling system to protect your skin and keep you comfortable throughout treatment. Contact either the Bucktown or Ravinia Spa by Lora location to schedule a consultation today.